An animated view of motorcycle scroll saw patterns to make something that Batman always wanted. This is an easy project that is fun to make. Download the print ready PDF pattern. Flying through the air with the greatest of ease. Made this to practice using the spiral cut scroll saw blade. 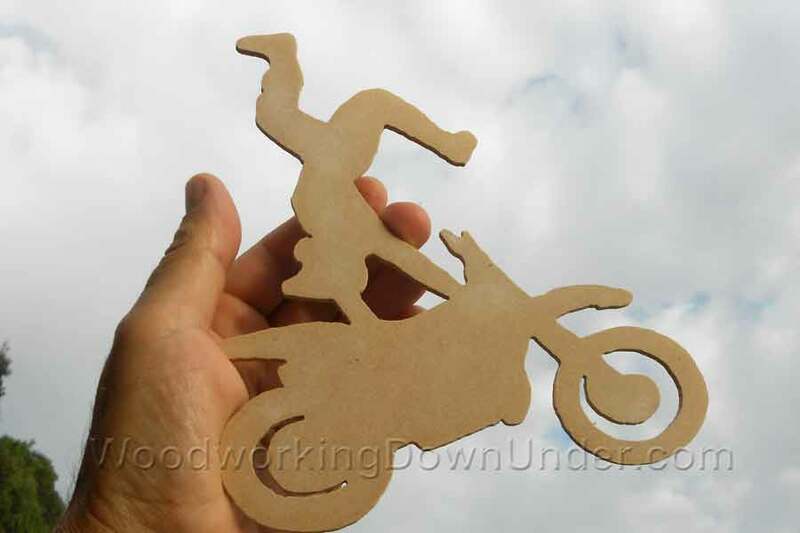 Click to download this motorcycle scroll saw pattern. 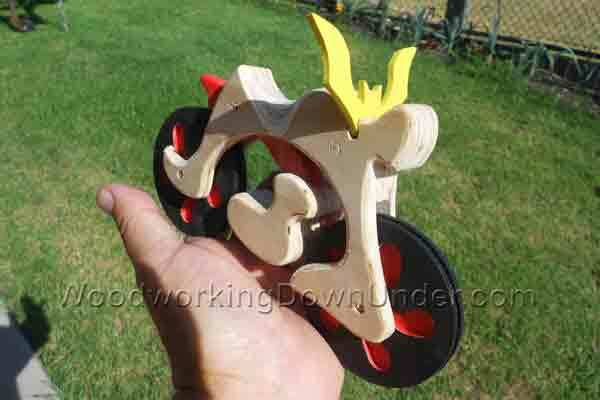 Here is an example of the batman motorcycle using plywood instead of MDF.